Mrudula Murali Mangalasseri was born on 8th June to Muraleedharan, an engineer at FACT (The Fertilizers and Chemicals Travancore Ltd)) and Latha, a home maker. Mrudula hails from Mangalasseri, Edappally. She did her schooling from Assisi Vidyaniketan Public School, Kerala and has completed her graduation in Mass Communication from St.Teresa's College, Ernakulam. Mrudula Murali is currently pursuing her masters degree in Broadcast Communication from M.O.P. Vaishnav College for Women in Chennai. Studies apart, Mrudula Murali is a trained classical dancer who has won the state Kalathilakam title three times. She has been a part of drams and small plays during her college life. Mrudula has a younger brother, Midhun Murali Mangalasseri, who is also an actor and has acted as a child artist in the 2004 Malayalam film "Vajram", directed by Pramod Pappan. He has also played a prominent role in the Malayalam movie "Black Butterfly" and is a part of "Buddy" as well. He has made his debut in Kollywood through the film "Vazhakku enn 18/9". Before entering the entertaining world of large screens, Mrudula Murali has anchored a popular phone in program 'Dial and See' telecasted in Jeevan TV years ago. It was a popular program through which Mrudula became the favorite of family audience. She got an entry into film field soon after completing her schooling. Her debut movie is a Malayalam film "Red Chillies" released in the year 2009, directed by popular director Shaji Kailas. Mrudula Murali Mangalasseri started her career as a TV anchor in Jeevan TV. She got an entry into silver screen after receiving a call from producer M. Renjith (Rajaputra) for his project "Red Chilies". Mrudula, who never had a camera fear was very much thrilled and excited. The movie had superstar Mohanlal in the lead role. She was lucky enough to be a part of an efficient team. The script for this movie was written by A. K. Sajan, who was Mrudula's friend's father. As she knew him earlier, everything seemed fine for her at the set. In this movie, Mrudula appeared as 'Varada Battadirippadu', an asthmatic patient. She was one among the three prominent female characters in the movie. In an interview with a TV channel, Mrudula had said that she took up this project for an experience and she was attracted by the fantastic team behind it. She believes in being a part of a good movie rather than playing the number game. Mrudula Murali was studying for second year graduation when she got an offer for the 2010 film "Elsamma Enna Aankutty", directed by renowned director Lal Jose. The producer for this film too is M. Renjith. The film had Kunchacko Boban, Ann Augustine, and Indrajith in the lead roles. Mrudula played the role of 'Sherin', a bold girl. Her character is more towards the negative side. In an interview, Mrudula said that she took up the negative role as the major attraction was director Lal Jose, known for making hit films. The character even though negative was able to stand out, she added. The team behind this project was also a well experienced one. On the whole she wanted to be the part of a good team. Mrudula Murali's third release too was a Malayalam film "10:30 am Local Call", directed by Manu Sudhakaran. Manu was the associate director for the film "Red Chillies", thus he knew Mrudula. It was Manu, who called Mrudula for his directorial debut. After doing supporting roles in two movies, Mrudula is lifted as a lead actress through this movie. She gives life to the character 'Ann', a RJ who is married to Alby (Nishan), a car showroom manager. A local call they receive at 10:30am makes the twist in this movie. The young actress, who has acted in a couple of Malayalam movies is moving on to Kollywood as well. She made her debut in Tamil film industry through the movie "Nagaraja Cholan MA, MLA", directed by renowned director Manivannan. It was a sequel of the 1994 Sathyaraj - Manivannan's "Amaidipadai". This movie was the 50th and last film of Manivannam as a director. Another peculiarity is that it was the 200th film of actor Sathyaraj. Mrudula Murali plays the female lead role as 'Shanmugha Valli'. She is paired with Raghu Manivannan (son of Manivannan). This movie too had a great crew behind it and it was Mrudula's luck to be a part of it. Mrudula Murali who is choosy in selecting characters has few offers her way. She is interested in working with good team under good banner and that is seen in all her above movies. She says, it helps her to learn a lot. She also believes in doing prominent characters than playing the number game. Mrudula, who is currently in Chennai for her studies would prefer to do Tamil films as she is more comfortable in working and dealing with Tamil technicians and directors. Moreover the actress says that Tamil industry respects women a lot. She has signed another Tamil project as well. Now, Mrudula Murali is quite popular in Kerala. She has done a few Malayalam movies and has attended many shows and interviews. 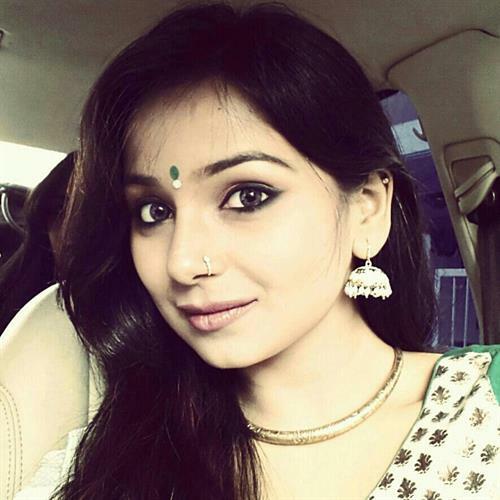 She has appeared with her brother for the program 'Rhythm' anchored by Rimi Tomy. They have also appeared in the Asianet News TV segment 'Anubhavathalukal'. The two siblings are enjoying their new career. Let's wish them good luck!